We all know about the usage of mobile and how it acquired its importance in every day’s life. Day by day the mobiles with the most advanced features are appearing in the market. According to Statista the mobile app downloads worldwide in 2017 are 178.1 Billion and in 2018 are 205.4 Billion. Furthermore, it reaches 258.2 or more in 2022. All the website search is happening on mobile than desktop. For that reason, Google Mobile-First Indexing concept is rolling as the hot topic now. There are many questions such as whether Google will index differently for mobile and desktop and what is going to change with this mobile-first index and many more. For Indexing and ranking, Google uses the content that exists as the mobile version which can termed as the Google Mobile-First indexing. Previously the desktop version of web page content is served to the users according to the search query through the desktop. But now the usage of mobile is raising to fetch the content of Google. The Google index consider the page content was getting a majority. While ranking the content, Google considers the mobile version of the website and ranks based on its performance on the mobile device. If the site has no mobile version, the desktop version is included. Having a mobile-friendly site however helps to have a positive impact on the rankings. Google moved to free first indexing approach as searches on mobile outpace searches on the desktop. After searching on mobiles at home or work, the users take follow up actions. That means they decide to buy a product and convert. This means mobile searching gives great benefits to businesses to get more revenue. Having a mobile-friendly site, however, helps to have a positive impact on the rankings. Google moved to mobile first indexing approach as searches on mobile outpace searches on desktop. After searching on mobiles at home or work, the users take follow up actions. That means they decide to buy a product and convert. This means mobile searching gives excellent benefits to businesses to get more revenue. Businesses that have a site optimized for mobile searches will rank better in both mobile and desktop searches with mobile first indexing, and if the site is nor performing well, the rankings will also sink. Businesses thus must ensure that they have a responsive website optimized for mobiles. Businesses that have a site optimized for mobile searches will rank better in both mobile and desktop searches with mobile first indexing, and if the site is nor performing well, the rankings will also sink. Businesses thus must ensure that they have a responsive site optimized for mobiles. 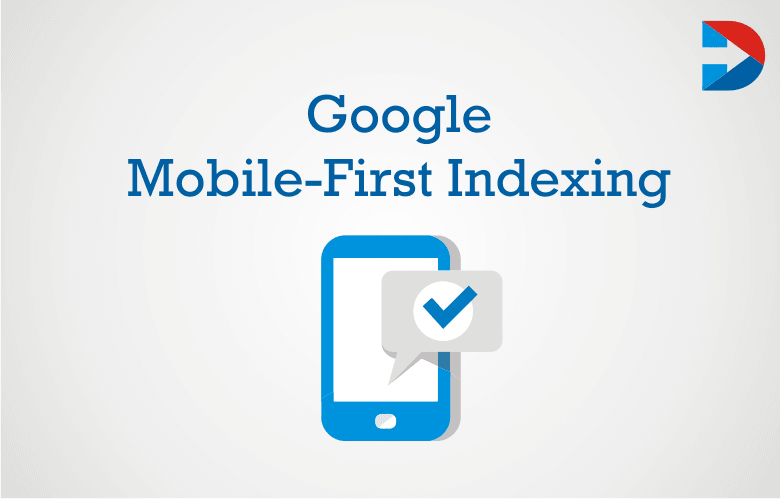 Google is not creating the Mobile-First Index separately, and it continues to use one index only. How does Google Mobile-First Indexing work? As Google is stepping ahead in providing the mobile-friendly environment to the users elaborating its growth more and more. Still, there might be a little bit confusing for the businesses about the working of Google Mobile-First Indexing. May arise the following queries. Is it good enough to reach both the user and Google ranking standards? Is it need any changes? You can surely find that there is an increase in the traffic mainly from the Smartphone Googlebot when you are monitoring the crawl-bot traffic. Mobile-First can define as a mobile version of the website is the primary type to consider. When your web page supports both the mobile and desktop version or using responsive design, then it will cause no impact on the performance of the website search or ranking. Till now the desktop version of the website content is the most preferred by the Google, but now it’s shifting the mobile versions as the primary factor. It projects that why webmasters are being encouraged by Google to launch the individual mobile sites along with the implementation of switchboard tags that is mobile URL version. Google wants to display the mobile URLs to the mobile users instead of putting effort to cache and crawl all pages. The desktop version of the web content is the most significant one as it framed by counting the backlinks, full content, hreflang, and structured data markup, etc. which helps to increase the search engine ranking whereas the mobile version of material can have a lighter evaluation of the above factors. When you launch the separate mobile site, then the following are most important to consider. The content that you merge should be of high quality. Make sure that mobile format should be indexable and crawlable. The content should contain the videos, images, and texts. Meta descriptions and titles should be equivalent on both mobile and desktop versions. Must estimate that host server can balance the increased crawl rate. The added URLs in the structured data should be the mobile URL version. Both the desktop and mobile versions must contain the same structured data. When the structured data is irrelevant to the content of the page, then it’s better to avoid adding. The mobile version should have the flexibility to access the links added to sitemaps. When the tags of mobile switchboard are employed, then it is not necessary to change. The usage of hreflang then the hreflang annotations of mobile URL’s must point to the version of mobile and desktop URLs to the desktop versions. When your desktop sites verified in the Google search console, then make sure to get verification for the mobile version. Along with the desktop sites, make sure to have the app indexation for the mobile sites. Just like a potential customer visit your mobile version of the site. Go through several web pages by using the search feature. Visit the texts or navigation icons. Then when you find any problem then sort-out. Why mobile first indexing and what things are going to change? Studies proved that the time mobile users spend online is nearly two times more compared to desktop users. Google wants to serve the mobile users better, and instead of considering only the desktop version to rank and crawl the pages, it now giving priority to the mobile versions of the site and rolled out mobile first indexing in March 2018. The website owners are being encouraged to have mobile-friendly sites. Google is going to make some changes in the way it is going to index the pages. The search engine is going to distribute mobile-friendly content to people who are accessing internet on their mobile devices such as smartphones and tablets; it is going to give priority to the mobile-friendly sites over other AMP sites. Studies proved that the time mobile users spend online is nearly two times more compared to desktop users. Google wants to serve the mobile users better, and instead of considering only the desktop version to rank and crawl the pages, it now giving priority to the mobile versions of the site and rolled out mobile first indexing in March 2018. The website owners are being encouraged to have mobile-friendly sites. Google is going to make some changes in the way it is going to index the pages. The search engine is going to distribute mobile-friendly content to people who are accessing the internet on their mobile devices such as smartphones and tablets; it is going to give priority to the mobile-friendly sites over other AMP sites. For the sites which have a mobile version of their website, the SERP listing will remain the same. But if the mobile version is available, it collects the information such as headline, URL extension and so on as defined in the SERPs. If your website is the desktop version and no mobile version, then there is no change as both the mobile and desktop version are same. The web pages created in the format of AMP HTML. The desktop and mobile version of web pages are same. The designed site must adjust on variable screen sizes. No change as the desktop and mobile are same. Basing on the device of the user the website should serve the different content. At the same time, the users see one URL only. Google indexes by preferring the mobile-optimized content. The different URLs of each desktop URL works as the mobile-optimized content. Moreover, Google picks the Mobile URLs in indexing. The website you launch should contain both the AMP and Non-AMP versions of the page. Visitors will see two variable URLs. Google selects the Non-AMP URL of the mobile version for indexing. How to prepare a site for mobile-first index? Here are a few characteristics that a mobile site must have to rank better using mobile first indexing. Businesses have to create a new mobile-friendly website or make changes to the website that is already existing. Use XML and HTML sitemaps so that Google knows when new content is published on the site, and this helps in the new page getting indexed faster. Media sitemaps include images and videos, and if you chose, Google could index these also. Use plug-ins to generate sitemaps and XML automatically. Create high-quality content for both desktop and mobile versions. Do not disable any form of media for mobile users. To prepare the site for the mobile first index, among the many kinds of metadata, choose the right one to optimize. The titles and Meta descriptions should be the same on your desktop version and mobile version. Also, the schema markup should be the same on both versions. To improve mobile user experience and to make the site mobile friendly, use expandable content. Expandable content is also called the accordion content, and in this type of content, a headline can be clicked to expand the content. This type of content does matter for the mobile first index because the content fits easily for the mobile devices that have smaller screens. Whatever device the visitors are using, site speed matters and this is even important for mobiles. Because the visitors does not wait for the website to load but might abandon it and go to another site. Google offers tools to check the page speed of the website on mobiles as well as the desktop and also suggests what to do a fix to improve the site speed. To prepare the site for mobile first indexing, use Accelerate Mobile Pages. This helps for the success of the site even after the changes that might come with mobile first indexing. Optimize the content for mobiles. People who visit the place on mobile should have the same experience as the desktop visitors are having. People on spending more internet time on their mobiles and all the content consumption is happening on mobiles. Content thus must be created by keeping the mobile first users in mind. Use shorter paragraphs break them with media. Shorter paragraphs help visitors to read the text easily. Use different types of media to give better user experience to mobile users. Using single URL, the users can share and link to your website content quickly, and it happens through Responsive design. The Google algorithm can allocate indexing properties to the web page accurately. When Googlebot crawling takes place, then it saves the resources. That means the Googlebot agent will crawl your all versions of the page content only once without crawling for multiple times using variable Googlebot user agent. That helps Google to index more content of your site by keeping it as fresh. It lessens the load time by displaying the mobile-optimized view for the users. Eradicates the common mistakes that arrive to affect the mobile site. Less amount of engineering time is needed to alter the same content on multiple pages. The independent mobile URLs will serve the different code to both the mobile and desktop that too on different URLs. On the same URL, the active sites will serve the different code to the individual device. How to find how Google is indexing one’s site? Try to use the tools like Render and Fetch especially in Google search console to find that the Google is fetching mobile data for SERPs. What happens if I don’t have a mobile version of the site? If you have the desktop version content which does not exist on mobile version then Google index it still, but in this case, you will not find an efficient search ranking while comparing to the mobile version. Does Google use the mobile site to fix ranking? Mobile-First itself defines that mobile version of the content is preferable to determine the ranking. In the case of not having mobile version then it considers the desktop version. Audit the mobile versions of the website and check whether SEO tags are properly implemented or not. Focus on tags, Meta tags, structured data, etc. make sure that important content and links are visible on mobiles also. In the present scenario, it is essential to create a mobile-first experience. It is clear that Google is going to give higher priority for mobile users and will give preference to the sites that offer an excellent user experience on mobiles. In the future, mobile friendliness is most likely to impact the rankings. Google wants high-quality content for its users and wants a better experience for the users on mobile devices also. Put user experience first, test the mobile sites and make changes accordingly. Audit the mobile versions of the website and check whether SEO tags are correctly implemented or not. Focus on tags, Meta tags, structured data, etc. make sure that relevant content and links are visible on mobiles also. We all know about the usage of mobile and how it acquired its importance in every day’s life. Day by day the mobiles with the most advanced features are appearing in the market. According to Statista the mobile app downloads worldwide in 2017 are 178.1 Billion and in 2018 are 205.4 Billion. Furthermore, it reaches 258.2 or more in 2022. All the website search is happening on mobile than desktop. For that reason, Google Mobile-First Indexing concept is rolling as the hot topic now.